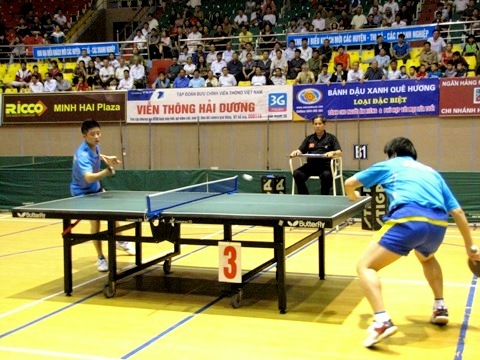 HA NOI (VNS) — The sixth International Table Tennis Tournament for the Hoang Thach Cup 2015 began today in the northern province of Hai Duong. Eighty players from local teams and two Chinese teams are participating in this year's tournament, which will end on April 12. They will compete in the men and women's singles and team events. The tournament's total prize money amounts to nearly VND100 million (US$4,700).